Indulge your fantasies of delicious Regency Rakes, fierce Viking warriors and rugged Highlanders. Be swept away into a world of intense passion, lavish settings and romance that burns brightly through the centuries A steadfast faith kept nurse Maggie Hunter going through the darkest days of the Great War. But her fiancé's death overseas shattered her trust in God her heart. 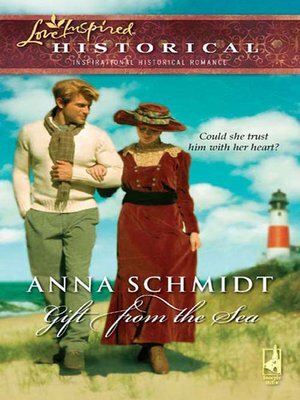 Now an injured man has washed up on the shores of her Nantucket home, to save him, Maggie must put more than her skill dedication on the line. . . . Wartime tragedy cost Stefan Witte everything– converted him to the cause of peace. But to deliver vital information to American authorities, he must fight Maggie's stubborn refusal to believe or forgive. Soon he will risk his life to win her trust– their heaven-sent future together.